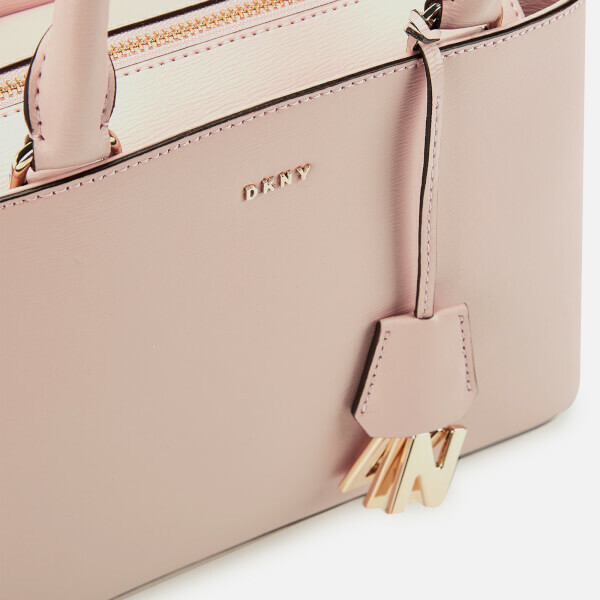 Pink textured leather satchel from DKNY. 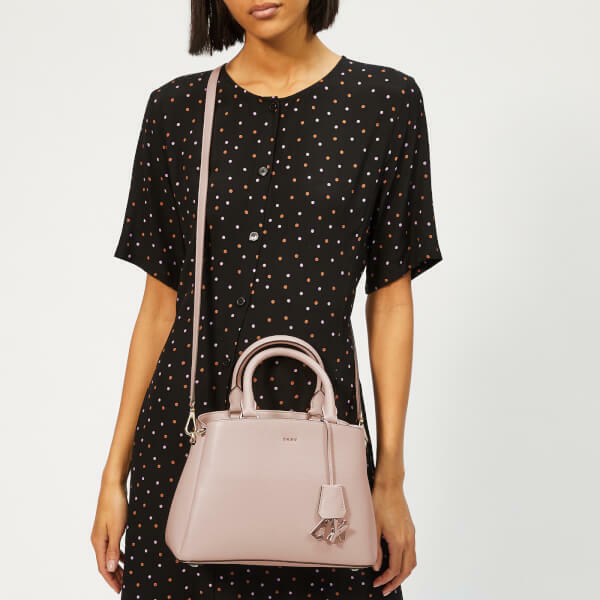 The zip top ‘Paige’ satchel is designed with three logo lined internal compartments that include three slip pockets and a secure zip pocket. 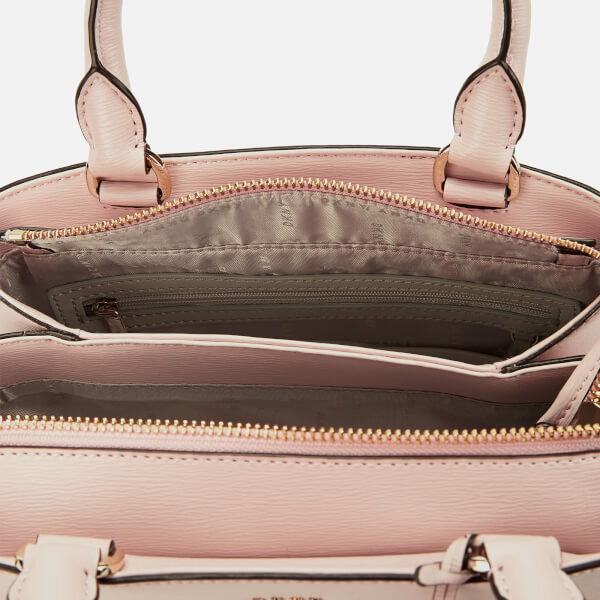 Dual carry handles and an adjustable, detachable strap enable the bag to be carried in hand, crossbody style or over the shoulder. 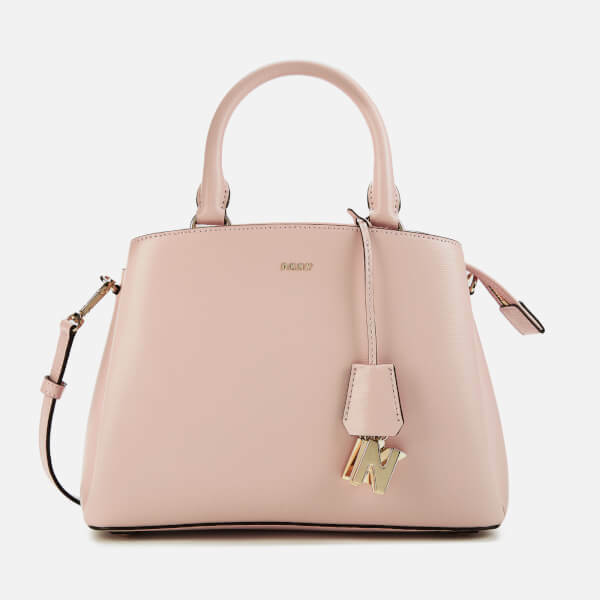 The handbag is detailed with a signature metal DKNY logo to the front, a detachable letter logo charm and a zip pocket at the back offers additional storage. 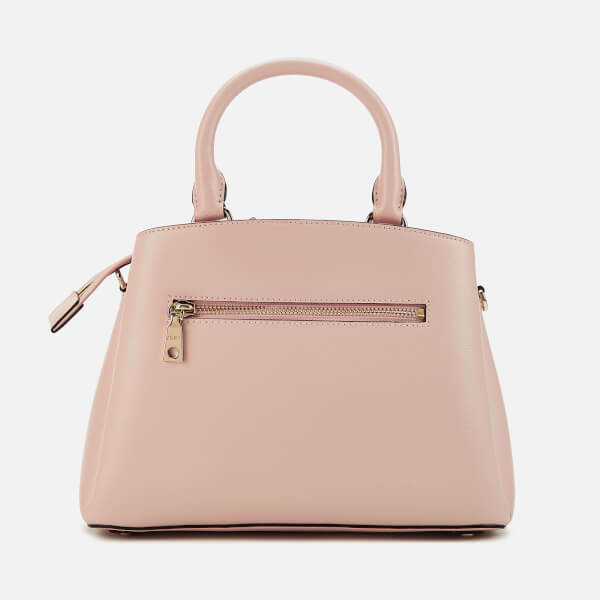 Gold-tone hardware and protective studs on the base add the finishing touches. Presented in a branded dust bag. Dimensions: H: 20cm x W: 27cm x D: 11cm. Handle Drop: 9cm. Strap Drop: 53cm. Dimensions: H: 20cm x W: 27cm x D:11cm. Handle Drop: 9cm. Strap Drop: 53cm.